Despite important progress in poverty reduction, significant segments of the Mexican population still face food insecurity and nutrition challenges. The Ministry of Social Development (SEDESOL) documents that in 2012, as many as 27.4 million people (23.3 percent of the total population) reported some deprivation related to food access. The prevalence of deprivation related to food access is especially high among indigenous population (35.4 percent), youth (28.1 percent), and people with disabilities (31.2 percent). The southern region of Mexico—which includes the poorest states of the country, such as Oaxaca, Guerrero, Yucatan and Chiapas—has the highest stunting rates. In the rural areas of Chiapas, as many as 44.2 percent of children under 5 years old are stunted, more than twice the national average for rural areas. On the other end of the spectrum, obesity rates in Mexico increased steadily since 2000 in both men and women, and are now among the highest in the world, at 32.8 percent for adults (2012). Obesity is more common among the poor and less educated, and it is increasing even among children (14.6% prevalence of obesity among school age children in 2012). The government of Mexico recognizes food security and improved nutritional status as fundamental elements of its poverty reduction strategy because of their impact on the long-term productivity of the population. 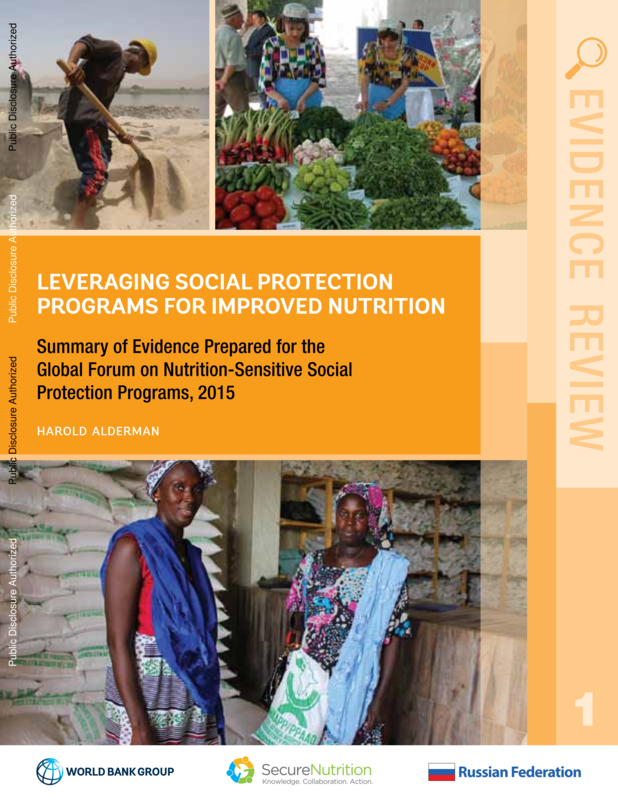 At the same time, international evidence points to the importance of multisectoral solutions for greater impact on the nutritional status of the population. Access to income, health and nutrition services, food diversity and health care are among the critical elements of a successful strategy to tackle malnutrition. Many programs and resources are directed at addressing this important challenge in Mexico, yet program fragmentation and lack of coordination remain key issues. To address them, the government has recently increased its efforts to improve coordination, reduce fragmentation and duplication of programs, and implement integrated approaches. 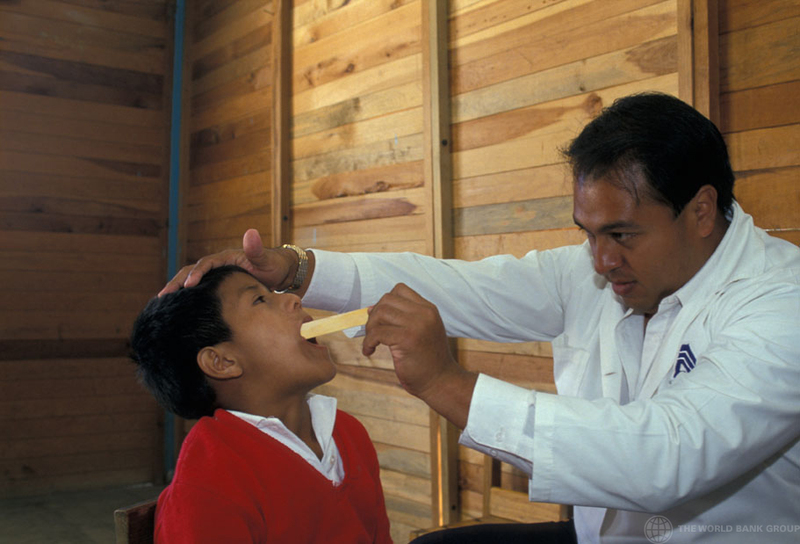 Funded by the Government of Mexico, the World Bank Group, and the Inter-American Development Bank, PROSPERA is a Conditional Cash Transfer (CCT) with Food and Nutrition Supplement, launched in 1997 (with the name of Progresa, changed into Oportunidades in 2002 and then PROSPERA in 2014). Its objective is to strengthen the social rights of the poor by improving their capabilities, especially their nutrition, health, and education capabilities, and contributing to breaking the cycle of intergenerational poverty. As of April 2016, the program targets 6.1 million households (25.5 million people), including 293,060 pregnant women attending breastfeeding workshops and 1,453,382 children under 5 years old attending health workshops. PROSPERA is designed to address three key problems in the country: low use of health services, high level of chronic malnutrition, and low school attendance. It is made of three components that provide (1) direct monetary support to beneficiary families, (2) a basic nutrition package and nutrition supplements for children under 5 years old and pregnant and lactating women, and (3) scholarships for primary, secondary and professional school, and university. What is the nutrition-sensitive rationale of PROSPERA? Under PROSPERA, transfers are given to beneficiaries based on specific coresponsibilities relating to the use of health and nutrition services and attendance at health and nutrition education sessions. These co-responsibilities include regular visits to health centers by all household members, attendance at monthly health information sessions workshops by at least one adult member of the family, enrolment in school of children and youth under 21 years old, and school attendance rate of at least 85 percent of those between the 3rd grade of primary and the 3rd grade of secondary school. In addition, and operating within the framework of the Integrated Nutrition Strategy (ESIAN), the nutrition intervention targets women of reproductive age with children under 5 years old and promotes good nutrition habits in many ways. First is through distribution of a new set of supplements for women during pregnancy up until that child turns 1 year old. Second is through distribution of supplements for children from 6–59 months old. Third is through counseling to mothers and families. Fourth is by providing specific equipment to health centers for the evaluation of nutrition status diagnosis of anemia. And fifth by building awareness and capacity of PROSPERA health and community personnel to carry out basic interventions and counseling to mothers using best practices. In order to address the situation of indigenous groups, particularly affected by malnutrition yet facing cultural and linguistic barriers, the program tailors its communications by using indigenous languages and locally relevant communication strategies. From January to April 2015, 567,299 workshop sessions were held, focusing, among other themes, on nutrition and health, adolescence and sexuality, overweight and obesity, and early child development. Overall, the greatest changes have been observed in women and indigenous populations, although there is a general link between beneficiary’s length of participation in the program and better outcomes in terms of nutrition and health. 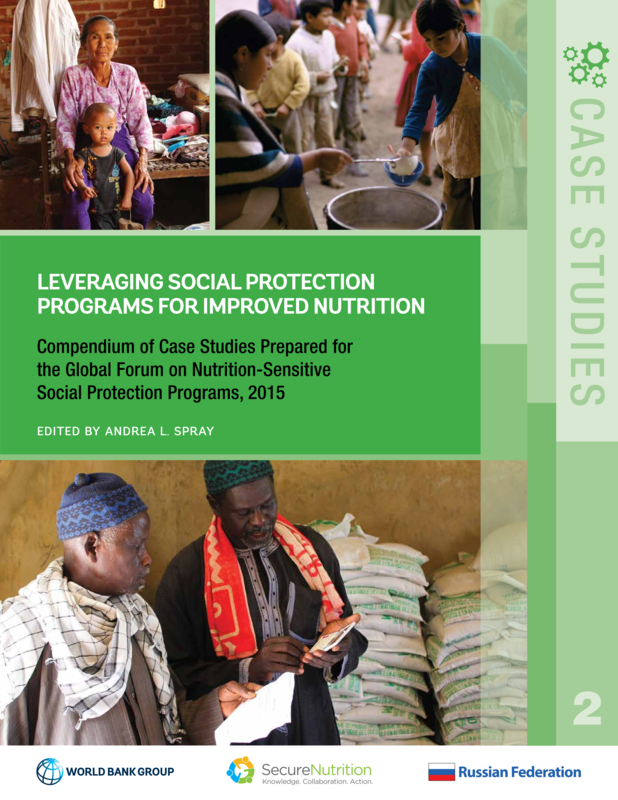 This article originates from the Compendium of Case Studies Leveraging Social Protection Programs for Improved Nutrition, which was produced by SecureNutrition with funding from the Russian Federation. 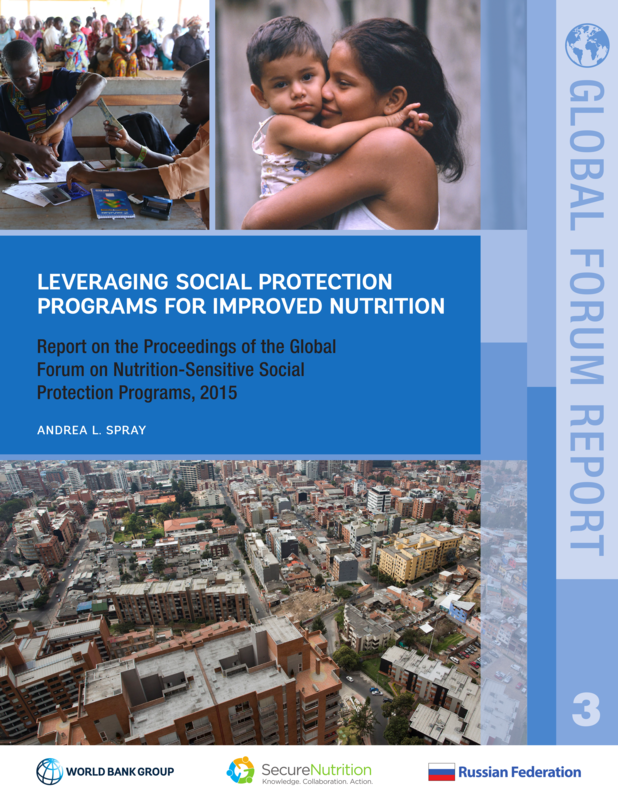 It is one of a suite of knowledge products—including an evidence review, a forum report, and a seminar series—that all result from the Global Forum on Nutrition-Sensitive Social Protection Programs in Moscow in September 2015. The goal of SecureNutrition is to support the efforts of World Bank Group staff to catalyze and foster nutrition-sensitive investments and activities across the key conditions that lead to poor nutrition. Visit http://www.securenutrition.org/ to find out more. This In Practice article is part of a series to be shared via the SUN Movement website throughout 2017 in collaboration with SecureNutrition to help build the dialogue on nutrition-sensitive social protection programs.